HONG KONG, CHINA--(Marketwired - Sept. 19, 2016) - SouthGobi Resources Ltd. (TSX:SGQ)(HKSE:1878) ("SouthGobi" or the "Company") is pleased to announce the establishment of a Strategic Advisory Board and the appointment of Mr. Abraham (Braam) Jonker, CPA, CA, CA (SA), ACA (ICAEW), ACMA (UK) as its initial member, with effect from September 16, 2016. Mr. Jonker is a business executive resident in Vancouver, British Columbia, with more than 20 years of extensive management, accounting and corporate finance experience across five continents, principally in the mining industry. He currently serves as the lead independent director of Mandalay Resources Corporation, a TSX-listed Canadian public gold mining company headquartered in Toronto, Ontario and a non-executive director and chairman of the audit committee of each of Firestone Diamonds Plc, a London, England based public diamond mining company listed on AIM, and Golden Reign Resources Ltd., another Canadian public gold mining company headquartered in Vancouver, British Columbia listed on the TSX Venture Exchange. Mr. Jonker was previously a director and president of EastCoal Inc. and Canada Coal Inc., two TSX Venture Exchange-listed Canadian coal mining companies headquartered in Vancouver, British Columbia and, until its $3.3 billion takeover by Walter Energy Inc., an international coal company, the chief financial officer of Western Coal Corp., another Canadian coal mining company headquartered in Vancouver, British Columbia whose common shares were listed on the Toronto Stock Exchange and AIM. He is a registered Chartered Accountant in British Columbia, England and Wales, as well as South Africa. He is also a member of the Chartered Institute of Management Accountants in the United Kingdom and holds a Master's degree in South African and International Tax from the Rand Afrikaans University. The purpose of the Strategic Advisory Board is to provide non-binding strategic guidance and advice to the Board of Directors of the Company in connection with the Company's ongoing business activities and initiatives. The Strategic Advisory Board shall consist of one or more members as determined by the Board of Directors, which will seek to select individuals based on their special knowledge, expertise and experience with companies in the Company's industry and/or area of operations who are capable of making a valuable contribution to the Company's business. Members of the Strategic Advisory Board shall be independent from any affiliation, business relationship or transaction with the Company and its affiliates. In selecting members of the Strategic Advisory Board, preference will be given to individuals whose knowledge, expertise and experience has been gained as directors or officers of companies whose shares are listed on a major stock exchange. It will have no authority to make business decisions for the Company. The Strategic Advisory Board will have no governance role in respect of the Company and none of its members are to be considered to be directors or officers of the Company or to have any of the responsibilities of a director or officer. "We are honoured to have Mr. Jonker join us as the initial member of our Strategic Advisory Board," said Mr. Ningqiao Li, Chairman of the Board of SouthGobi Resources. "Mr. Jonker is a highly experienced business executive with significant Canadian public mining company board and management expertise, particularly in the coal sector. We look forward to having the benefit of his advice as we move ahead with the ongoing development and execution of our strategic business plan. His extensive Canadian public company experience will also be of great assistance to us in our continued development of a governance framework that enables sustainable growth of the Company." TORONTO, ON--(Marketwired - September 19, 2016) - Centerra Gold Inc. (TSX: CG) will host a conference call and webcast of its 2016 third quarter financial and operating results at 11:00AM Eastern time on Monday November 7, 2016. The results are scheduled to be released after the market closes on Friday November 4, 2016. · North American participants should dial the toll-free number (888)-225-2734. · International participants may access the call at +1 (303)-223-4367. · The conference call will also be broadcast live by Thomson Reuters and can be accessed at Centerra Gold's website at www.centerragold.com. · A slide presentation of the second quarter results will also be accessible on Centerra Gold's website at www.centerragold.com. An audio recording of the call will be available approximately two hours after the call via telephone until midnight Eastern Time on Friday, November 11, 2016. The recording can be accessed by calling (416) 626-4100 or (800) 558-5253 and using the passcode 21818089. In addition the webcast will be archived on Centerra Gold's website www.centerragold.com. September 19 (MSE) According to the Resolution No. : 2016/03 of Board of Directors of MSE, Bolor.M was exempted from his duty as acting CEO, and Altai Khangai appointed as acting CEO of Mongolian Stock Exchange. Altai Khangai was working at Mongolian Stock Exchange in period between 2011 and 2014 as a CEO. During the time of his service, he set foundation of the initiative to create a world class capital market, developed infrastructure of capital market and renewed Mongolian Securities Market law. September 19 (MSE) Dear investors, please be advised that the following government bond is about to mature. September 19 (MSE) Mongolian Stock Exchange organized 5 securities trading sessions and made transaction of MNT985.3 million with daily average transaction of MNT4,926,596,236.00 in period between 12 September 2016 and 16 August 2016. 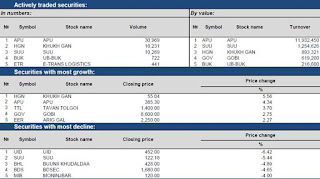 613,082.00 shares of 39 joint stock companies worth of MNT4,446,274,996.00 were traded. 4,858 government retail bonds traded on secondary market of Government securities trading and total of 480,321,240.00 transaction has been made. 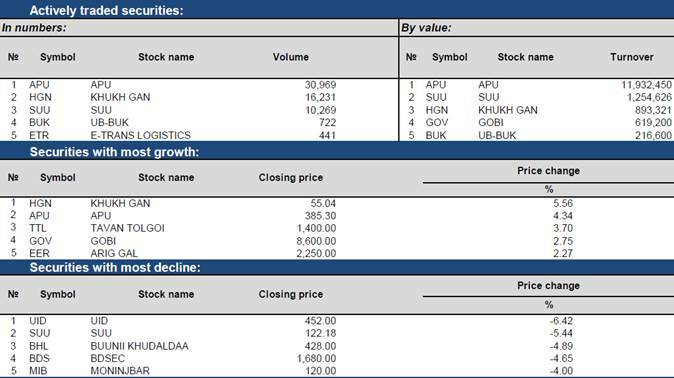 As of 16 September 2016, market capitalization was MNT1,363,389,970,495.15 which indicated decreased of 1.54% and MSE ALL index reached 819.99 units which indicated decreased of 1.20% from the previous week. 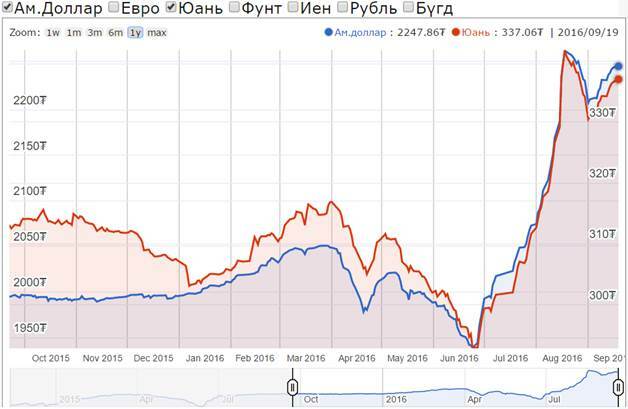 September 19 (Bloomberg) During the commodities boom, Mongolia's stock market more than doubled in a single year. That was 2010 and a lot has changed, with the nation's benchmark down for a seventh straight week, the longest stretch of declines since March, 2013. Mongolia has been hit hard by the slump in commodities and the slowdown affecting its larger neighbors, Russia and China, with the currency falling 24 straight days through the middle of last month. Ulaanbaatar, September 19 (MONTSAME) The Social Insurance Fund revenue and expenditure amounted to MNT 1119.3 billion and MNT 1112.6 billion respectively in the first 8 months of 2016. 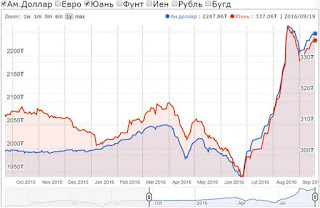 It shows increase of MNT 229.9 billion (25.8%) and 92.6 billion (9.1%) respectively compared with the end of August, 2015. A total of MNT 96.2 billion was distributed from the Social Welfare Fund to 214.8 thousand people as pensions and welfare benefits. The number of beneficiaries increased by 22.1 thousand or 11.5 percent, while the total size of pensions and subsidies decreased by MNT 1962.5 million (2.0%) compared with the same period of 2015. Ulaanbaatar, September 19 (MONTSAME) Prime Minister J.Erdenebat, being on a working tour in Selenge and Darkhan-Uul provinces, held meetings with local citizens on September 17 and 18. Opening ceremony for the new 72.8 m long bridge took place while the PM visited Tunkhel town in Mandal Soum of Selenge. This bridge is the first-ever bridge in Mongolia to have been built under concession agreement, remarked the director of "ZMZ" Company at the opening. The PM informed that the project cost has been included in the 2016 Government Budget Revision. The Premier's first local appointment ended on Sunday. Ulaanbaatar, September 19 (MONTSAME) "Ulaanbaatar Railway" Mongolian-Russian joint venture has repaired and re-decorated a special train, which had once belonged to former leader of Mongolia Marshall Yu.Tsedenbal, in honor of his 100th birth anniversary to park it for good as a exhibit for visitors. The train is called "Palace of Guest". Custom-manufactured in Hungary, the train had been serving for special purposes between 1931 and 1971 for late Yu.Tsedenbal. Earlier last week, the "Chronicles of Glory and Merit" exhibition has been displayed at the National Museum and the books called "Renowned Military Figure of Mongolia" and "Secret History of the Marshall" has been released on the abovementioned occasion. September 19 (news.mn) Mongolia has announced a National Action Plan (NAP) for 2016-2018 under the Open Government Partnership (OGP), today (19th of September). J.Munkhbat, Cabinet Secretariat of Mongolia and James Anderson, Country Manager for the World Bank in Mongolia as well as Shreya Basu, Regional Civil Society Coordinator for the Asia Pacific of OGP attended the event. The Mongolian NAP aims at to restore economic development in a short space of time, to stimulate public sector growth, to improve living standards and create an effective and trouble-free civil service. 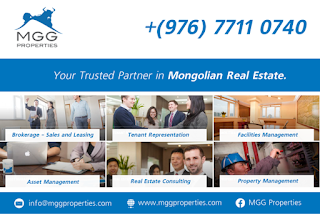 By 2030 Mongolia strives to become a leading upper middle-income country with a growing multi-sector economy, where the majority of the population are either middle or upper class living in a good ecological environment and in a completely stable democratic society. Mongolia received a star from the OGP for making significant efforts towards good governance, by passing numerous pieces of legislation such as the "Glass Account" Law (2014) and the Law on Information Transparency and Right to Information (2011). Launched in 2011, the Open Government Partnership (OGP) is a multilateral initiative which currently brings together 70 member states, NGOs and representatives from civil society in collegial governance. September 19 (gogo.mn) Western-educated, young Mongolian Deputy Minister of Finance Kh.Bulgantuya briefed public on difficult fiscal situation. Amended 2016 budget was approved with consolidated fiscal deficit of 18%, reduction from expected execution of 20.6% by original 2016 budget. Budget had large shortfalls due to aggressive fiscal projections including ones on major projects such as Gatsuurt (not delivered). Some of Government's (GoM) proposed cuts and all tax hikes have been rejected by Parliament, however, Ministry of Finance continues to plan tax system reform. IMF Standby Program: The Deputy Minister acknowledged that quickly and successfully implementing IMF Standby Program as in 2009 would not be easy. World Bank said, "Recent announcement of the accurate fiscal situation was a significant step toward a credible fiscal consolidation. The revised revenue projections of the government seem largely realistic, based on conservative assumptions. Projected high budget deficit and rapidly rising government debt, however, urgently call for a comprehensive and strong fiscal consolidation plan, including spending adjustment based on priorities and revenue mobilization measures." The Bank also stated that there is a strong need for prioritizing expenditures to protect the vulnerable and improving public expenditure efficiency. "Amended 2016 budget has been approved. Fiscal revenues have been revised downward by ~MNT1.7t (~US$850m) to MNT5.3t (~US$2.65b). Fiscal expenditures were adjusted upwards by MNT1.7t (~US$850m) to MNT9.7t (~US$4.85b), resulting in consolidated budget deficit of MNT4.3t (~US$2.15b) or 18% of GDP. We had to proactively amend budget to reflect ongoing decline of the revenues and increase in the expenditures since shortfall of fiscal revenues was likely to reach MNT4-5t (US$2-2.5b) and deficit was expected to reach 20.6% of GDP by execution of original approved 2016 budget. Secondly, we consolidated Mongolia's four, five budgets. Due to consolidation, fiscal deficit increased ~4x from MNT1.2t deficit in 2015. Offbudget spending of MNT1.4t (US$700m) particularly had impact in this respect. We reduced deficit to 18%. Economy, as a whole, is in decline, for example, only import revenues declined 30% y-o-y. Also, Economic Transparency law did not result in significant tax revenues. Very optimistic projections, including ones on several major projects such as Gachuurt, were reason for decline in fiscal revenues. Also, navigation revenues projections were too aggressive at 30% increase. Further, privatization of several large SOE-s was not executed as planned. Some fiscal cuts proposed by Government were declined by Parliament. The legislature did not support paycuts for senior state officials. Severance subsidy for state officials was not reduced from 36 months pay. We attempted to cut all noncritical expenses, such as fuel, postal, conference and events expenses by 50%. Children's cash transfers of MNT 21,000 per month have run out of funding and were stopped since July. We reflected it in the amendment; children monies will be issued till end of 2016. Children of targeted group or ~60% of total children will receive cash, remaining 40% will be opened accounts on their names and they will be able to cash out since 2019. We have stopped indefinitely mutual retirement benefits because Social Insurance Fund (SIF) does not have necessary ~MNT50b funding. Student's monthly subsidy of MNT70K per month will be issued till end of 2016, however on condition of fulfilling all previous requirements. Only SIF is burdening budget by requiring subsidy from budget of MNT400-500b (~US$200-250m) per year. Four years later, the SIF fiscal burden is expected to reach MNT1t (~US$500m) per year. Government proposal for tax hikes on very minor part of population and certain sectors were not approved by Parliament. But we are researching several options. Tax hikes proposed by Government will not impact ordinary citizen. Tax hike will only impact 1-2% of taxpayers. 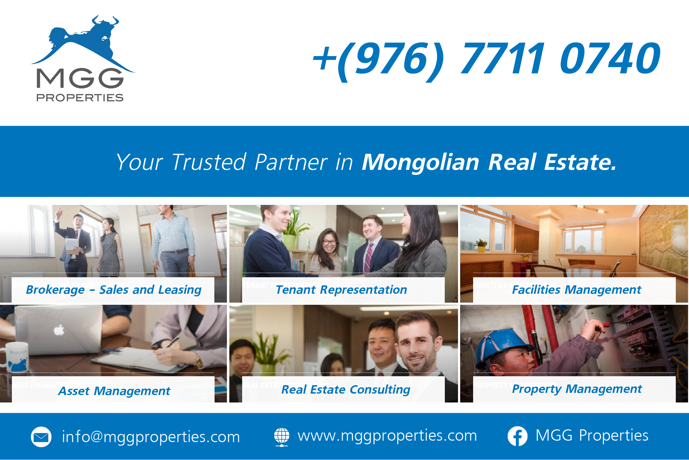 Majority of Mongolian people do not own gold deposits, do not live in apartments more than 150 sq. meters, do not have salary more than MNT2.5m and do not own liquor and tobacco businesses. Going forward, it would be proper to implement income level based tax. Countries with same GDP per capita have income taxes with 5 levels from 5% to 35%. Further, Mongolian economy has grown in size. We have no right to continue another 4 years funded by external debt at any cost and pretend that everything is fine. Mongolian economy is in really difficult shape and Ministers, who are also MP-s, are working under great pressure. In 2017 and 2018 budget has not sufficient funds to pay all debt principal and interest payments even if we don't pay salaries to anyone and don't fund current expenses of any kindergarten. In another words, we have more debt than our income. We will restore trust of foreign investors by moving forward OT Underground project, TT project, TT power plant, TT railroad and Gatsuurt project. Negotiations on major projects will be done this fall. Investors don't trust Mongolian authorities because previously even projects approved by Parliament were returned. It will be hard to quickly and successfully implement the IMF program like in 2009. Last time Mongolia was in IMF Standby Program in 2009, Mongolian economy was relatively small. We had no debt of more than US$20b as we do now. Consumption of Mongolia has hugely expanded; it is not easy to reduce it. In particular, in last 4 years because of unlimited luxury consumption, Mongolian state has eaten and borrowed our future, said "it is ok, our children will pay it". We must now to use all our internal resources and capabilities in union of state, private sector and citizens, all together for the country's good. Some foreign country or some good soul somewhere will not fund Mongolian state". According to National Statistics Office of Mongolia, fiscal deficit reached MNT 1.8 trillion in Jan-Aug, ~2.34x increase from MNT769b in the same period last year. "Weaker commodity prices and import contraction were reflected in budget revenues felling by 3.3 percent (yoy) in the same period. Mining revenues sharply dropped, with royalties almost halving from one year ago. Customs duties declined by over 10 percent due to weaker imports. Non-tax revenues also declined by 4.3 percent, reflecting a 33 percent drop in oil revenues, and minimal collection of dividends and privatization revenues. " "Unbudgeted spending programs and loose spending controls largely contributed to budget expenditures jumping by 33 percent (yoy) in Jan-July. Government programs were launched in the first half. These programs included three policy loan programs (Good Herder/Student/Fence Programs) and a buyback program of the ETT shares owned by Mongolian citizens (Good Share Program). In Mar-July, over MNT 500 billion was spent for the four Good Programs. These programs were not recorded in the budget execution report until July, and have been funded by the BoM. Many of the on-budget expenditures also exceeded the original budget plan, including the Child Money Program, interest payments, and public investment spending. In addition, the government spent over MNT 400 billion in Mar-July for the Housing Mortgage Program that was previously undertaken by the BoM. The mortgage program spending, however, is yet to be recorded in the budget execution report. " "Corrective measures have been taken by the government. The proposed budget, however, excluded the Housing Mortgage Program that was transferred to the government in March. The commercial portfolio of the DBM still remains off the budget. A revised Medium Term Fiscal Framework for 2016-18 was also submitted to the parliament. The consolidated overall budget deficit—which adds DBM's off-budget commercial portfolio to the government's definition—is expected to reach over 19 percent of GDP by end- 2016. The recent measures taken by the new government are welcome, but further actions are urgently needed. The immediate challenge facing the new government was to contain the sharp rise in budget deficit and consolidate unbudgeted expenditures. The recent announcement of the accurate fiscal situation was a significant step toward a credible fiscal consolidation. The revised revenue projections of the government seem largely realistic, based on conservative assumptions. Projected high budget deficit and rapidly rising government debt, however, urgently call for a comprehensive and strong fiscal consolidation plan, including spending adjustment based on priorities and revenue mobilization measures. The fiscal consolidation plan should also include all of the remaining off-budget programs such as Housing Mortgage Program and DBM's off- budget corporate lending programs that would likely increase fiscal burden." Nominal value of general government debt, including the sovereign-guaranteed TDB debt and the outstanding debt of the Build-Transfer (BT) projects, is projected to reach over 90 percent of GDP due to the high deficit and exchange rate depreciation, a sharp rise from 66 percent of GDP in 2015. There is a strong need for prioritizing expenditures to protect the vulnerable and improving public expenditure efficiency. Weakening growth and declining household consumption, despite the large increase in government spending this year, suggests that public expenditures may not be productive enough to support growth and jobs, underscoring the need for proper assessment of public expenditure efficiency and effectiveness. Particularly, the most recent poverty analysis showed that poverty closely tracks growth and consumption. The recent high unemployment rate and a sharp drop in household consumption indicate that many households near the poverty line may be sliding back to poverty, putting a drag on growth. Strengthening the social safety net, particularly targeting the vulnerable groups near or below the poverty line, would help mitigate the social costs of fiscal adjustment and support growth. September 19 (UB Post) Aero Mongolia's Fokker 50 flew over Hohhot, the capital of Inner Mongolia Autonomous Region, at least twice while waiting for its turn to land. When it touched down at the Tsagaan Suvarga airport, some turbulence was felt due to wind, or maybe because it had just rained. It was clear from above the city I had visited 10 years ago, and which has now changed significantly. Hohhot is full of modern roads stretching many kilometers, and looks completely green. An Inner Mongolian gentlemen sitting next to me said that the Chinese say that if you want to get wealthy, fix the roads. He further elaborated, "Every settlement in Inner Mongolia is connected with roads and railways today." The name "Hohhot" (Blue Rock) comes from the history of Altan Khan having a blue rock brought from the Dalan Khar Mountains and a temple built to hold it in 1557. Today, Hohhot has a population of three million people and one million vehicles. Having developed at a rapid rate, Hohhot has already grown into the governance, political, cultural, and arts center of the region. One third of Hohhot's 17,000 square meters is green. A total of 24 parks ensure that people breathe fresh air, have space for exercise, and enjoy a good environment for dancing. This year alone, they are building eight more parks. There are over four million Mongolians and 20 million Han Chinese living in Inner Mongolia today. Their GDP per capita is 10,000 USD – the same as Chile's. Within one generation, or 30 years, China has managed to turn from a poor country with an agricultural economy into a global industrial leader. China's economic model allowed them to invest domestically, develop industries, and export products to developed countries. As a result, China is now the second biggest economy in the world – only behind the United States. It is only recently that their economic growth has started slowing down. In response, China began seeking ways to address the growing demands of its neighboring countries and markets to take full advantage of their industrial capacity and maintain economic growth. This is the reason why Xi Jingping, President of China, when visiting Kazakhstan exactly three years ago, on September 7, 2013, announced that European and Asian countries could build the Silk Road Economic Belt. This idea to revive the historical Silk Road, along which Asia and Europe exchanged silk, tea, and other products for hundreds of years, has now become a business plan called the One Belt, One Road Initiative. The plan has two key components, one of which is the land-based Silk Road Economic Belt, connecting over 60 countries of these two continents and accounting for 60 percent of the global population and one third of global GDP. The other is the Maritime Silk Road, connecting Asia and Europe by ocean. The realization of these plans require far-sighted and comprehensive political vision, long term investment, and – most importantly – political stability from all the countries that will be connected by the revived Silk Road. If we look at how the initiative's investment is going, China has worked on it with 56 countries, and has established the Asian Infrastructure Investment Bank and pulled together almost two trillion USD in cash at China Development Bank. China has put forward a grand plan to develop its economic cooperation and build economic corridors in seven directions by working with neighboring countries. These will be based on the principles of partnership and connectivity. In terms of economic corridors to the north, Mongolia's geographic location is deemed significant. Mongolia is sandwiched between Russia and China, and has a territory that fits into a rectangle that is 2,400 km in length and 1,260 km in width. It has been established by all parties that going around Mongolia does not make sense. If you go around to the east, it is only significant in the region. If you go the west, you will face the Altai Mountains, and it would be too expensive to build roads there. As of today, it has already been several years since discussions started on building three roads and three railways across Mongolia, and developing oil, power, and communication corridors in the country. All these corridors would go through Inner Mongolia and help them develop more rapidly. For this reason, Hohhot wants to implement the plan at a steady pace. We already have a mechanism where the heads of state of Mongolia, Russia, and China have regular meetings. This has helped push progress on Steppe Road (Mongolia refers to the corridor as the Steppe Road) projects and has facilitated engagement between China and Mongolia's ministries and agencies. However, the work to build corridors in the other six directions is behind schedule. Today, Mongolians have to build narrow gauge railway to the south and broad gauge railway to the north. Three and a half years ago I proposed in my article "Mongolia is the Next Panama" that we should build a Ж-shaped railway network and use mixed gauges on the horizontal rails so that Russian and Chinese trains would not have to change their wheels when going in and out of Mongolia. Today we need to follow the principle of all corridor projects being advantageous to each of the three countries, maintain our attitude, and accelerate the work without losing time. It was discussed during the ASEM Summit recently held in Ulaanbaatar that global development is unfathomable without the trade and transport developed between Asia and Europe. It is now time to discuss the social and environmental impacts of these big projects, reach agreements, and start construction. September 18 (Mongolia Focus) I was an international election observer in 2008, 2009, 2012, and 2013. Unfortunately, I wasn't able to travel to Mongolia for the most recent election. But, I've never observed any aspects of elections in my home country, Germany, other than as a voter. I am currently spending the academic year 2016-17 in Germany and the city state of Berlin voted on Sept 18 for the city parliament and thus the state government. Of course, this is not comparable to the Ikh Khural election in that it was only a state election, but still elections run somewhat similarly, I suppose. My time in Germany will have ended by the time of the federal election in the fall of 2017, so I will not have a chance to observe anything then. Unlike a Mongolian election, there do not seem to be any formal observers in German elections. No party observers, no NGO observers, no international observers. The counting of the votes is publicly accessible, however, so I couldn't resist the opportunity of going to a polling station just before it closed to ask whether I'd be allowed to stay for the count. Since the law specifies that the counting is held publicly, I was allowed. Clearly, I asked in German and I'm not sure what would have happened if I had asked in a foreign accent, but for me this was certainly an easy and relaxed opportunity to observe. The strongest impression I got, particularly when comparing to the Mongolian elections, that German elections are "old-school" and very relaxed. Clearly, the level of trust in the intentions and abilities of the administrative team is high and there is very little general suspicion of the process. None of the innovations that we see in Mongolian polling stations exist in Germany. No (party) observers, no video broadcast of the inside of the polling station, no "black machines" (or any other kind of machines), no ink to the finger to show that a voter voted, really no electronics. Instead, voters' bring in their notification of the upcoming election (with their name, and the show their national id). This is verified against a printed roll of voters. Voters are then handed their ballot. In the case of this election, there were three ballots, one for a direct candidate for the Berlin parliament, then the party vote for the proportional representation route to the Berlin parliament, then the party vote for the district parliament. After the vote finishes, the election committee (including positions of a chair, vice-chair, and protocol-writer) opens the ballot box quite unceremoniously. No national anthem here. But also no video-taping and arguments about procedure that I saw in Mongolia when I was able to observe the counting process. Certainly also no fear about electricity being disconnected or anything like that. There was a very small number of spoiled ballots, but these were announced, shown, and did not lead to further discussion. Counting proceeded in a relaxed, but careful manner, though I only observed the first stage of counting, the proportional representation party vote. As is the case in Mongolia, it's always important to recognize the people that make elections work. Whether it is volunteers, observers or public servants, they all deserve our thanks for their dedication, hard work, and contributions to democracy! Trust in political institutions plays a huge role in how elections unfold. Even though Germany has some recent memory of the manipulation of votes (Nazi-Germany, as well as the German Democratic Republic), there appears to be a very high level of general trust in the election system which means that it is fairly unsupervised and there are few checks. By contrast, Mongolians trust "the system" much less (as is evident in polls as well) and a lot of the mechanics of voting are intended to inspire more trust with limited success. September 19 (UB Post) Hong Kong invested Mongolia Gladwill Uvs Petroleum LLC has stopped its oil exploration for an indefinite period of time until disputes with the Government of Mongolia are resolved. The company has terminated its operations on the grounds that they claim they don't have a valid production sharing agreement signed with the Mongolian government. This agreement is a common contract signed between a government and a resource extraction company (or group of companies) concerning how much of the resource being extracted (usually oil) each party to the agreement will receive. Mongolia Gladwill Uvs Petroleum LLC has been conducting oil exploration operations in Malchin soum, Uvs Province, since last August. 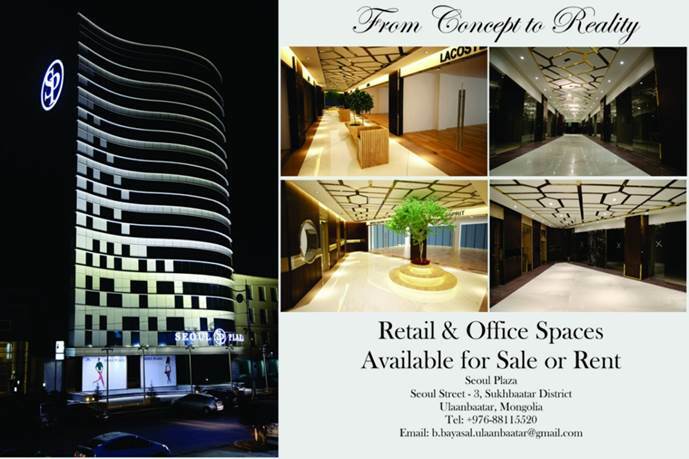 The company received its special exploration license, held by a Hong Kong investor, in 2011. The company planned to conduct new research in Tes, Zuungobi, and Naranbulag soums in the province, but has not completed the work. While executing the research, the company faced conflicts with local residents and was named in a case filed by the NGO World Mongolia Green Union, citing that the exploration activities being conducted on over 19,000 square kilometres in Uvs Province are illegal. In compliance with requests from local residents, the Province governor investigated the issue and ordered the suspension of operations until the company resolves its conflicts. September 19 (Xinhua) Workers broke ground Monday on infrastructure projects on the Chinese side of a China-Mongolia cross-border economic cooperation zone. The 18-square-km zone stretches across the border between the cities of Erenhot in China's Inner Mongolia Autonomous Region, and Zamyn-Uud in Mongolia. The area has been designed to integrate international trade with the processing of import and export commodities; as well as facilitate e-commerce, entertainment, and financing upon completion, said the municipal government of Erenhot. At a cost of 900 million yuan (135 million US dollars), the Chinese part of the project will include over 33 kilometers of roads and facilities such as drains, heating, power, and telecommunication. Construction is expected to be completed in 2018, according to the city government. China and Mongolia signed a joint construction plan on the economic cooperation zone in May. Construction of infrastructure on the Mongolia side is finished. The zone will help support the construction of the China-Mongolia-Russia economic corridor, a trilateral channel aiming to boost transportation connectivity and economic cooperation in border regions. Ulaanbaatar, September 19 (MONTSAME) On the sidelines of his official visit to the Republic of Cuba, President Ts.Elbegdorj legged the Cuban Center for Genetic Engineering and Biotechnology on September 16. Director of the center Elogio Pimentel and President of "BioCubaFarma" Group, Dr Carlos Gutierrez and other officials welcomed the Mongolian President to give tour around the facility. The genetic engineering and biotechnology center has been initiated by the then-president of Cuba, Mr Fidel Castro, and was founded in 1982, for the purposes to combat overspread-in-developing-countries viruses and epidemic diseases. The center manufactures anti- Hepatitis B and C interferon, Heberprot vaccine against chronic foot infection caused by diabetes, and medical preparations against meningitis and many other diseases, and exports its products to 38 countries. The Havana branch of this center has more than 350 staff in 13 laboratories, divided in research departments of bio-medicine, genome and immunology, science and technology. President Ts.Elbegdorj invited the center's director to Mongolia, pledged his support for the Mongolia-Cuba cooperation in agricultural and pharmaceutical industries. September 19 (gogo.mn) On the sidelines of an Official Visit to the Republic of Cuba, the President of Mongolia Tsakhiagiin Elbegdorj held official talks with the President of the Council of State and the President of the Council of Ministers of Cuba Raul Castro. His Excellency Raul Castro expressed appreciation to the President of Mongolia for paying an Official Visit to Cuba and noted that he always remembers his visit to Mongolia in 1970 with pleasure. He noted with satisfaction that although the both countries are on opposite sides of the globe, have supported each other at the international arena over the years, and highlighted the importance of continuing this traditional relations. President Elbegdorj expressed his gratitude to His Excellency Raul Castro and the people of Cuba for the warm welcome accorded to him on his arrival in Havana and noted that Cuba is the first country of South America to establish diplomatic relations with Mongolia and emphasized that the bilateral relations have been strengthened between the both countries in the past 50 years. At the meeting, the both parties emphasized the importance of cooperation in education sector and agreed to increase the amount of scholarships granted by the Government of Cuba. Since 1994, the Government of Cuba has granted scholarships for 2-3 Mongolian students majoring in dentistry and medical sciences and as of 2016, a total of 140 Mongolian students were awarded scholarships from the Government of Cuba. The both parties discussed to cooperate in agriculture, production of biological and organic products, pharmaceutical and medical industries, and agreed to export vaccinations of Hepatitis B and C and chronic foot infection caused by diabetes from Cuba to Mongolia. Official talks between Mongolia and Cuba lasted over five hours touching upon a wide range of issues. Ulaanbaatar, September 19 (MONTSAME) The non-resident Embassy of Indonesia in Ulaanbaatar hosted a ceremony for celebrating the 60th anniversary of the diplomatic ties between Mongolia and Indonesia on September 15 where Vice Minister of Foreign Affairs B.Battsetseg gave remarks. She noted "President of the Republic of Indonesia Soekarno paid a visit to Mongolia in 1956, which was resulted in establishing diplomatic relations between Mongolia and Indonesia. Over the past 60 years, the bilateral relations have been developing in favor of the both people at a stable pace", and expressed her confidence in the further progress in bilateral ties. Non-resident Ambassador Extraordinary and Plenipotentiary of the Republic of Indonesia, Mr Soegeng Rahardjo gave opening remarks as well. Mongolia-Indonesia Cooperation has been widening in politics, economy and education. Along with the increasing frequency of high-level dialogues, the Joint Commission on Intergovernmental Cooperation has held a meeting in Jakarta to define the priorities of the Mongolia-Indonesia ties. Ulaanbaatar, September 19 (MONTSAME) A Memorandum of Understanding was signed today (September 19) on establishing a Center for Mongolian Culture in Mokpo, South Korea by the Deputy Mayor of Ulaanbaatar for Social Development Affairs and the Deputy Mayor of Mokpo. The latter expressed his confidence that the cooperation between our cities will progress in many other sectors than sports and culture in the futures. Mokpo is an ancient city that boasts of abundance of historic landmarks and monuments. Therefore, the tourism industry is seen as a potential room for expanding bilateral bonds with Ulaanbaatar, he said. UB Deputy Mayor for Social Development Affairs Sh.Ankhmaa thanked for the opportunity to promote cooperation with Mokpo in the areas of tourism, health, culture and economy. Ulaanbaatar, September 19 (MONTSAME) In the first eight months of 2016, 52,509 women gave birth to 52,760 babies. Nationwide, 977 infant and 1,183 child mortalities were recorded within the first eight months of this year. Compared with the same period of the previous year, infant mortality rate increased by 158 (19.3%) and child mortality rate --by 208 (21.3%). In August, 78 cases of infant mortality and 109 cases of under-five mortality were recorded, which indicates decrease of 11 (12.4%) and 12 cases (9.9%) compared with July respectively. September 19 (UB Post) Mongolia is rich in many things, its history, tradition, and gold. The country is quite rich in universities as well. Mongolia's universities may lack the proper quality but definitely make up for that in their numbers. There are a plethora of problems surrounding the education system in Mongolia, most of which are caused by the government's neglect. I would like to begin with how students enroll in general education schools and the subsequent process of enrolling in universities. Under the Mongolian Constitution, the government must provide a 12-year cost-free general education. At the end of their 12th year, students are required to take the General Entrance Exam if they wish to attend a university. While students choose their exams depending on the area of study of their choice, since 2013, it has become mandatory for every student to take the Mongolian language exam. The provinces rank and sort the exam results. In Ulaanbaatar, students submit their scores to their university of choice. The first major problem with enrolling in a university in Mongolia starts here. In every province, there are about 1,000 to 2,000 students who take entrance exams each year. However, if a student wants to enroll in a specific field of study (fields that are considered difficult to master due to a longer duration of study or for just being too complex) – such as law, journalism, or engineering – he or she must, quite unbelievably, rank either first or second in their province. For general enrollment, one must rank in the top eight. In short, unless a student tops the rankings among a few thousand students, he or she will not be able to enroll in the field of their choice. Currently, there are 17 state and 83 private universities in Mongolia for a population of three million. The population to university ratio is interesting: Mongolia's population is approximately 400 times lower than China's, but the number of universities is only 17 times less. Despite having a great number of universities, the National University of Mongolia (NUM) ranked 2,577th in a world university ranking by Times Higher Education World Universities Ranking in 2012, the highest ranking in the history of NUM. The number of universities might have something to do with the number of people deciding to attend universities. In 2014, out of around 73,000 high school graduates, 49,000 of them (67 percent) enrolled at universities. Of course, this number would be even higher if one were to account for college admittances. Since 2012, the number of students attending higher education institutions has been decreasing. It is not because fewer students are graduating from high school, but because of the population. A generation ago, in the Soviet satellite state of Mongolia, families tended to have five to 10 children. Today, according to the population statistics from the National Statistical Office, families with two to three children are common, five or more children is extremely rare, while families with ten children are nearly nonexistent. Another problem we see with universities is that most, if not all, parents choose their children's career paths. Of course, this tendency is diminishing, but not as fast as it should. The reason it is changing slowly is that the relationship between the Ministry of Education and educational institutions is not very specific or effective. To put it another way, the government lacks an effective education strategy – it is either not enforced or does not exist. Most students have no idea which career path they should choose when graduating from high school, which could indicate a lack of interest from the government. This inaction results in graduates listening more closely to their parents, who have few ideas about professions other than their own. This creates a problem within society, where there is no diversity among professions and graduates end up unemployed. To further escalate this issue, there is no official event – neither from the government or state universities – to introduce prospective students to their institutions and available courses, or just a simple promotion of available majors. To fill this hole, volunteer groups and organizations occasionally carry out college and career fairs. During this critical time of development in this country, the government should pay a little more attention to the career paths of the thousands of young people graduating every year. I wish teachers and university employees were more helpful and caring in providing information to students under an overall government strategy to assist students in choosing their careers. Mongolia is a developing country, and it might be easier – if I may say so – to predict how many professionals in particular fields that we might need in the future, but the government does not take advantage of this. Private universities have agreements with larger corporations to specially prepare their workforce. The government should implement a similar system nationwide to help reduce unemployment. Of course, in this free market of competition and survival, one can become properly qualified and have a successful career, but that is not the case for the majority of university graduates. What young people do right now is listen to their parents, enroll in a university of questionable quality – along with thousands of others, and graduate with no job waiting for them, despite a diploma with their name on it. September 19 (news.mn) To this day, at least 25% of Mongolia's population lives a nomadic life, and in doing so, they remain fiercely dependent on open land for survival. According to Ministry of the Environment and Tourism, a total of 71% of Mongolian territory is used for pasture which is used for 60 million head of livestock. There is, however, a serious problem: desertification now affects 80% of Mongolian territory. Two factors are the primary causes of desertification, namely, climate change and the sharp increase in livestock. September 19 (news.mn) Disaster Management training started at the Law Enforcement University of Mongolia today (19th of September). The event is being organised by Mongolian National Emergency Management Agency (NEMA), the US Embassy in Ulaanbaatar, the Alaska National Guard and US Special Operations Command Pacific. More than 20 experienced teachers from the USA have come to Ulaanbaatar in order to strengthen capacities for disaster mitigation, management and coordination of the personnel of NEMA, the border troops and police. A total of 70 Mongolian officers are participating in the training. September 19 (gogo.mn) 15th Summer Paralympic Games 2016, taking place on September 7-18, have officially ended in Rio de Janeiro, Brazil today. This year, total of 83 countries claimed medals from Paralympic Games and Mongolia ranked 75th with its two bronze medals. Specifically, B3 classified Mongolian judoka B.Uugankhuu claimed bronze medal in men's 60 kg judo while E.Sodnompiljee won bronze medal in powerlifting by lifting 217 kg at RIO 2016 Paralympics. September 19 (news.mn) HKAHC Invitational Amateur Ice Hockey Tournament has just finished in Hong Kong. The international tournament stage has been set for another special weekend of hockey in the same location. Teams from Japan, Mongolia, Macau, the Philippines, Taiwan, the UAE, Oman and Hong Kong have been competing in the event. Mongolia made its second straight appearance in the tournament. Mongolia defeated Macao 2:1, had a dead-heat with Japan 1:1 and beat Oman 3:1. The last competition was won by the Mongolian team against the UAE by 5:3. September 19 (gogo.mn) On Sep 18th, National Federation of Mongolian Mountaineers and Mongolian Air Sports Federation paid tribute to the British paraglider Steve Nash, who had been killed and robbed in Arkhangai aimag on Aug 31st, and kindled an offering lamp at National Amusement Park. 53-year-old paraglider had first visited in Mongolia ten years ago with friend Gareth aiming to do flying expedition. However, he had went back to his country due to weather conditions. Thus, he had returned this year to fulfill his goal. He had aimed to hike and fly through the mountains from Zavkhan to Arkhangai, a distance of about 400km. Unfortunately, his friend Gareth had experienced several heavy landings, which meant his back had been strained and he was unable to continue the expedition. Thus, Steve had decided to continue on his own and had been robbed and killed by assailants.